Reefer Records originated in Surry Hills, Sydney around the year 2000. Predominantly a second hand store for DJs, featuring both 12″ singles and CD-singles, the shop quickly became a staple for crate diggers and lovers of all things vinyl. With a location in the heart of the record-ghetto and Sydney’s love for DJs, Reefer has been able to amass a large library of vinyl LPs, 12″s, 7″s, 10″s CDs, promos and other associated goodies. In 2006 we moved the store to Canberra in order to take advantage of a business and lifestyle opportunity. This provided the ability to successfully grow Reefer’s on-line presence and go beyond selling to the local Sydney market. 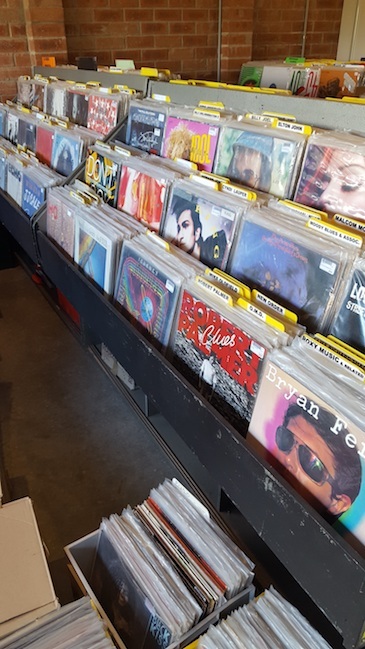 With a trading history of nearly 20-years, we have gone far beyond the 12″-single and now carry an ever expanding range of pre-loved vinyl albums and singles covering most genres. Our vault of 11,500 plus titles include pop, rock, jazz, disco, hip-hop, funk/soul/r&b, house, electro, techno, trance, beats & breaks, soundtracks, comedy, experimental. We even have a bit of country & western, lounge, spoken word and a section devoted to Aussie artists. We love collecting and selling vinyl records and CDs. We are passionate about what we do and take great pride in our ability to grade correctly and to provide fantastic customer service.